Your client’s objections are the most impeding obstacle you have to closing a sale. If you can remove or at least respond to those objections, your sale can move forward. And you need to address your client’s objections sooner rather than later — if you don’t, you’re sure to lose. Once you know at least some of the objections your client could be ready to make, then you can be ready to respond to them before they are even spoken. Make that you list of objections ahead of time and post them in plain sight, consistently reviewing during the whole proposal writing process. Organize your solutions in a way to assure that you respond to each of your client’s objections. Like in a compliance matrix, it can’t hurt even to make a graph that lists clearly both their pains and your cures. Social proof and testimonials from your past clients are some of the best ways to anticipate objections. We find they are particularly convincing if you include a short video or two into your proposal. First, nothing is more convincing than hearing something directly from the horse’s mouth and looking them in the eyes. Also, no one wants to read a long, drawn-out, wordy proposal, so this gives the client a break from the written word and makes a stronger argument to boot. Also, if you’ve received a good review of your service on a social network or were featured in press somewhere, it can’t hurt to at least include copies of these within the addendum. Maybe instead of “Improve your winning rate,” we should start using the slogan “It’s not about you, it’s about them.” Certainly focusing on the latter will bring the first to fruition faster. The vast majority of proposals are written like marketing pieces for your company. Yes, that’s part of it — a proposal is how you get the word out about your company, and it may be how you introduce your company to your client for the first time. And, yes, much of the proposal is about explaining what products or services your company has to offer. But all this is useless in the wrong context. Before selling your solutions, you have to know your client’s needs and pair your solutions to those pain points. It’s that whole thing about how us humans come with two ears and one mouth again, so listen to your client’s utmost professional desires! You should always avoid over-promising as failing to meet those extreme conditions can sever your B2B relationship forever, but your proposal has to make a guarantee of service and outcomes. Your client is willing to spend hundreds, thousands, or hundreds of thousands of dollars (or euros, yen, rubles…) for confidence in a result. At Quote Roller, we like you to make the most out of your CRM and that means taking and maintaining copious notes on your client. Another good idea is to keep a file that maintains ALL your clients’ objections, particularly if you work with similar clients in the same sector. This list becomes the checklist of questions each of your proposals should answer. Do you know if your client opened your proposal? How much time have they spent on the pricing page? Have they opened your portfolio section? 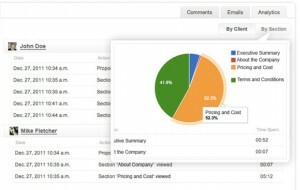 Using in-proposal analytics shows you exactly what a client is interested in or focused on in a proposed document. Only being able to speak for our in-proposal analytics, Quote Roller can instantly notify you when your client opens your proposal and allows you to learn exactly what your client was looking at to more actively predict your client’s behavior and potential objections. This all allows you to plan more efficient and effective follow-up. There’s no denying that any extra peek into your client’s brain is priceless. Anything that can tell you your client’s concerns can help you be prepared to counter their objections. In-proposal analytics powered by business proposal software can give sales professionals like you insight into the steps clients have taken when opening a proposal, along with how much time they’ve dedicated to reading each section. Then, when you have this info, for goodness sake, don’t email them! Pick up the phone and call them to address the objections. And, whenever possible, try to have scheduled a follow-up meeting to discuss the proposal even before sending it. This gives you acumen into what they aren’t saying either. For example, your client may say they aren’t unconvinced by your qualifications, but you realized they spent about half their time analyzing the pricing of your proposal. In-proposal analytics also give you clues to their unspoken objections. And, if at first you don’t succeed, try, try again. The information you gain from in-proposal analytics allows you to quantitatively learn from your clients and improve proposals in the future. You can also see what works and replicate it for future proposal success. We aren’t saying you should completely rely on this — you should still be following the Socratic method of questioning and working toward a personal relationship with your client — but adding quantitative data into the mix will pack you with more ammo to win. In this day and age, there’s a very good chance your client is going to try to barter with you. With almost any circumstance nowadays, unless you’re working with Fortune 500s, you can anticipate that objection even before your first meeting with the client. Now, we’ve already talked about the dangers of dropping your price too low, but you can offer other deals, especially because your company may have as much cash-flow troubles as theirs. Use your business proposal software to offer them multiple price packages. ONLY if you are confident that you will complete the project to the client’s standards, offer them a five-percent discount if they pay everything upfront or if they commit to only working with you for the next year. Last month, we spoke with Ivan Paramonau about how to address price concerns. One of his many pieces of advice was to not be afraid to be the first to send in the proposal, setting the standard for price reasonability and comparison. You just have to be ready to substantiate that number. He says sending it in early makes you the front-running pain reliever that acts as the barometer for others to uphold. Don’t be afraid to equate that your time costs a certain amount of money and stand by it. Know them better than the back of your hand. It may seem obvious but it’s important to remember that, if you don’t know perfectly the features and benefits of what you’re trying to sell, you can hardly pair them as solutions to client objections. 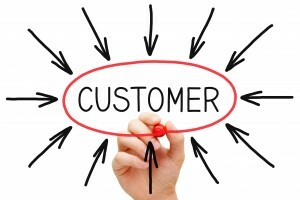 And you need to be able to explain the service they provide your client with and how they can solve their problems. And if, like us, you are selling a SaaS, you need to make sure you have the means to guide them through it every step of the way, always remembering, your client’s signature is only the beginning of your relationship. And if you offer multiple products across platforms or, like us, have partnerships with other companies like CRMs, you can sell a more holistic type of service within one contract.